With a crispy crust and melted cheese filling, an old-fashioned grilled cheese sandwich never fails to hit the spot for a quick lunch or light supper. 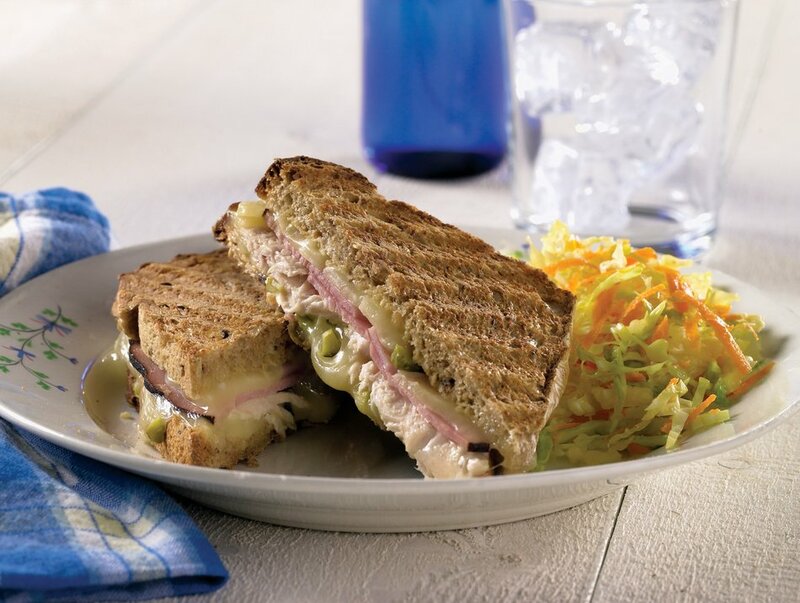 This lightened-up, lactose free version takes its inspiration from the pressed ham, cheese and pork sandwiches popular in Cuban cafes. A little pickle and a hint of mustard give the sandwich a lift. Grilled cheese should be casual and fun-improvise with what you have on hand, or try the variations below. If you own a panini press or contact grill (aka George Foreman Grill), grilling the sandwiches is a breeze, but you can also use a skillet. Pressing the sandwiches with a weight (see directions in recipe) makes them extra crispy. PREHEAT panini press or contact grill, if using. MIX mustard and mayonnaise in small bowl. Spread over bread slices. 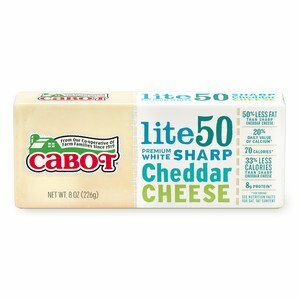 Place half of cheese over 2 slices of bread. Top with ham and chicken (or turkey). Sprinkle with pickles, then top with remaining cheese and bread slices, mustard-side down. Spritz both sides of sandwiches with cooking spray. PLACE sandwiches in panini press or contact grill; cook for 4 to 8 minutes or until golden brown and cheese has melted. Alternatively, heat skillet, preferably cast-iron, over medium-low heat. Place sandwiches in skillet. Set piece of foil on top, then weight with heavy saucepan or smaller skillet. Add a few unopened food cans for extra weight, if needed. Cook for 2 to 4 minutes, or until underside has browned. Turn and cook for 2 to 4 minutes more. Cut sandwiches in half and serve immediately.